Have you tried Serta and Simmons products? These two brands have become big brands throughout the world where many people have positively talked about this two existance in the bed and mattress industry. Serta and Simmons had already get their rivalry when both brands came out back then in 140 years ago. At that time both brands had become a noteworthy leader in this industry. This is why you probably will love to get a mattress from both brands as their existence have gone through 140 years unscratched and still exist up until now. The first product is the Serta Iseries; this mattress has earned its name in the market as its technology includes the infused memory foam and the cool gel inside the mattress. On the other hand, the Simmons Beautyrest is also a good product which offers balance in comfort, support, and durability. 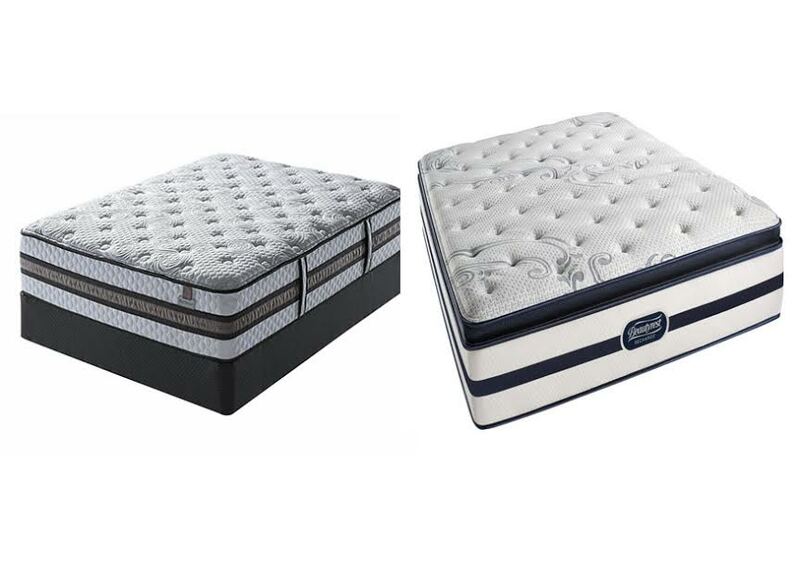 So if you are interested with both mattress, let’s see the comparison below. Serta mattress has many interesting features and a solid structure which makes this mattress become a right choice among the high standard customers. First, it offers the free residential delivery which will ease your way in putting it inside your house. After that, you get the advanced Duet Coil system for the comfort of the mattress. It also has the cool action gel memory foam which has been known widely for its ability to keep the mattress cool and nice. On the other side, we have the Simmons Beautyrest which offers the mattress which has pocketed coil pillow top, air cool foam, gel touch, and energy foam on the upholstery. It is also equipped with the perform plush which is intended for the mattress only. Last but not least, it has the edge support ventilated air cool which totally surrounds the beauty edge. The performance of both Serta and Simmons are undeniably fantastic. Simmons Beautyrest is utilizing the encased pocket coils in various coil counts, the height, and thickness. The Simmons it self has been famous for its pocket coil in the Beautyrest line. The pocket coils proved to be very useful, and the surface becomes more comfortable with less motion transfer. We can say that Simmons gets more of the feel and comfort in their mattress compared to Serta, it is mainly because of its pocket coil which is a good invention. So you can rely on both comfort and feels, but Serta feels from its foam variance, whereas Simmons’s comfort comes from its invention which is the pocket coil. This makes Simmons able to control their standard which is why Simmons is better than Serta. So in overall, both mattresses are fantastic products, but Simmons is slightly better than Serta because of its invention which is the pocket coils. But in term of quality, both products are definitely the choices for the high standard mattress, but as you know with the easier and more controllable quality, Simmons come out better than Serta.